"Thus, while an excellent vaccine, a dilemma remains. As previously mentioned, measles is extraordinarily transmissible. At the same time, measles vaccine has a failure rate measured in a variety of studies at 2–10%, and modeling studies suggest that herd immunity to measles requires approximately 95% or better of the population to be immune . It remains then an open question as to whether the current vaccine is sufficiently immunogenic and efficacious to allow eradication—even though measles can be controlled, and even eliminated in some regions for defined periods of time." I sometimes have to scratch my head when I realize people are criticizing us for avoiding injecting aluminum, formaldehyde, aborted monkey cells, aborted fetual human dna, polysorbate 80, antibiotics, Mercury, Thimerosal, fragments of aborted babies, etc into our infants. These vaccines stopped working years ago. More than 3/4 ths of the people (kids) who get measles (a mild childhood disease) have been vaccinated. No one in the US has died of the measles in over 12 years!! 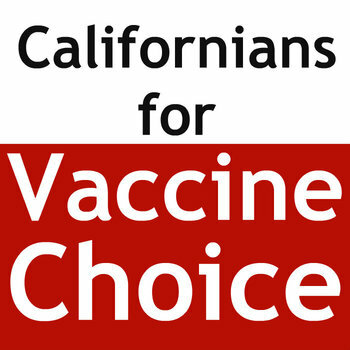 Thus, every resident in the state of CA from preschool to the age of 18 will be forced to be vaccinated with every mandated vaccine in order to reside here and to be eligible for any public, private, or home school. Since education is compulsory, opting for no schooling will not be an option. When vaccine mandates are law, the only way a parent can protect their children from the known and unknown dangers of vaccines and/or from the known and unknown problems with the current vaccine schedule is through the use of exemptions. If SB 277 passes, there will soon be no more exemptions for such protections. This bill would eliminate the right of parents to opt out of any vaccines for their children for personal or religious reasons. As a result, unless a child has a medical reason for not receiving a particular vaccine (which essentially means that the child can prove damage by a vaccine), children will be forcibly injected with every vaccine the government deems appropriate. If this bill passes, it will be a devastating blow to patient rights, parental rights and the very concept of liberty that this nation was founded upon. Its understandable, the desire to protect children against dangerous diseases, but forcing every child to take every dose of a government mandated vaccine is not the answer. It is difficult to conceive of a pubic health crisis that would warrant granting the government the power to inject any substance into human beings without their consent, but in the event of such a crisis, that power should be limited and concise and the substance injected should be beyond reproach as safe and effective. Further, the bill uses the term “immunizations” which is a misnomer. Using the term immunization implies that the injection provides immunity from a particular disease. This of course is not the case; vaccines do not guarantee immunity. The State is going to forcibly inject a vaccine that does not guarantee immunity? Children today receive 69 doses of vaccines for 16 different viral and bacterial illnesses, which more than doubles the government childhood schedule in the year 2000. In the last 15 years, 35 doses and 5 more unique vaccines have been added to the schedule. Those supporting forced vaccination are being dishonest by not acknowledging the exploding vaccine schedule while sounding alarms over small increases in overall non-medical exemptions. Are 69 injections going to be forced on every child in California? Even more frightening, there are hundreds of new vaccines in development, including some of the following in clinical trials: HIV, herpes, E. coli, dengue fever, avian influenza, smallpox, tuberculosis, typhoid, nor virus, cholera, smoking cessation, syphilis, and gonorrhea. If vaccine manufactures and others who profit from forced vaccination convince legislators to take away parent's right to delay or decline a vaccine now, what will our future look like? How many injections will be required? We MUST let people know that this is about RIGHTS! Parental Rights. Religious Rights. Civil Rights. Find a group online. Connect in Person. Call. Mail. Email.